I was recently doing a migration from Citrix XenApp to Microsoft RDS, we had a requirement to have certain applications hosted within the RDS environment. However the organization was in the process of migrating their core communication systems such as Exchange and Skype for Business to Office 365, therefore a traditional RDS installation/license of Office would not be available for the RDS server. 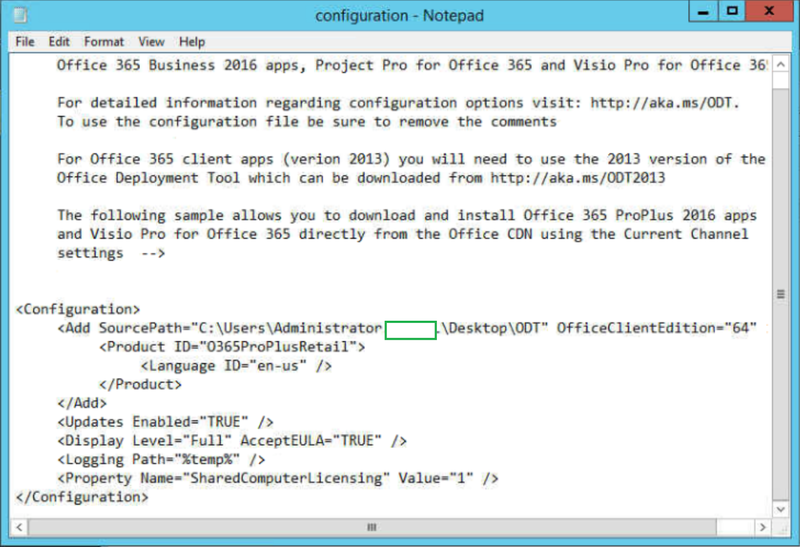 It turns out Microsoft have thought of this, and it is possible to install Office 365 ProPlus Click-to-Run within RDS and have multiple licensed users access it using either session-based desktops or RemoteApps. 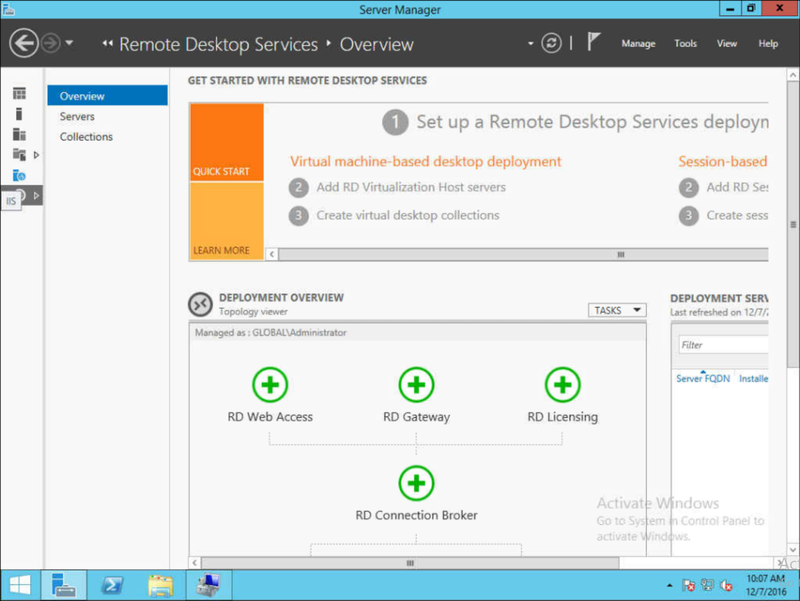 The RDS deployment is all running on a single server in this test environment, when deploying it I selected the "typical deployment" model, which automatically installs everything on a single server. 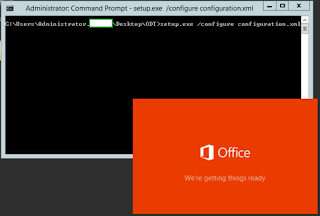 If you are using Office 365 you will probably have AD Connect (or DirSync) running from your Active Directory. If this is the case the licensed users in Office 365 will be known in AD and inside Azure AD which is the identity store for Office 365. 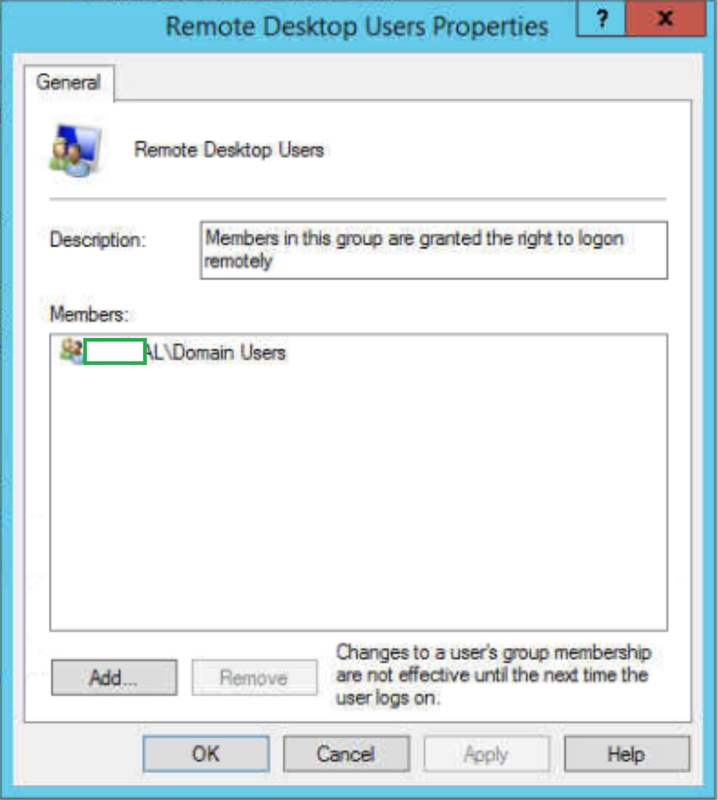 It is important to have the users that will be accessing this RDS server (for Office-apps) in the Remote Desktop Users group. By default the RDS wizard populates this with the Domain Users principal. 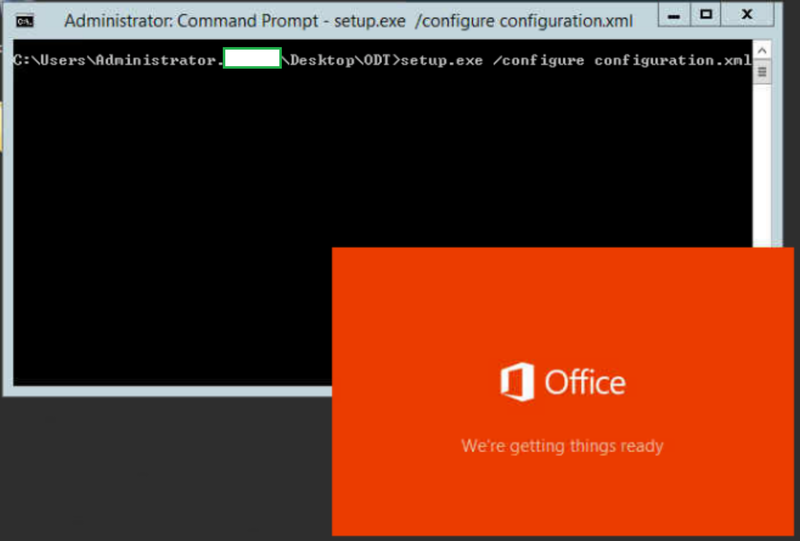 Download the Office Deployment Tool https://www.microsoft.com/en-us/download/details.aspx?id=49117 which is required to install Office 365 ProPlus correctly on an RDS server. I don't believe it's possible to do it using the manual download method. 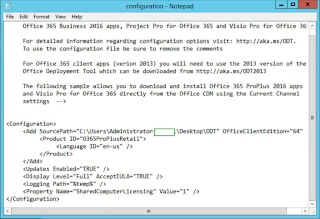 When you download and extra the Office Deployment Tool, there will be a configuration.xml file in the extracted folder. Edit this configuration.xml file with Notepad. 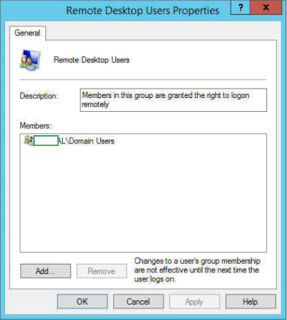 The important lines here for an RDS-based deployment is the <Property Name="SharedComputerLicensing" Value="1" /> this must be added to the configuration file when RDS, or any other kind of shared access to a computer is required. 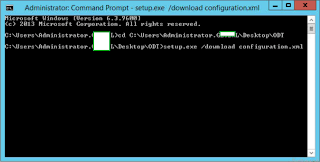 I believe this is also required if you are installing Office 365 ProPlus into VDI, whether it be VMware View, Citrix XenDesktop or even RDS with Hyper-V.
Open up Command Prompt with Administrative rights and do a cd to the extracted directory which now contains the ODT setup.exe and the configuration.xml files. 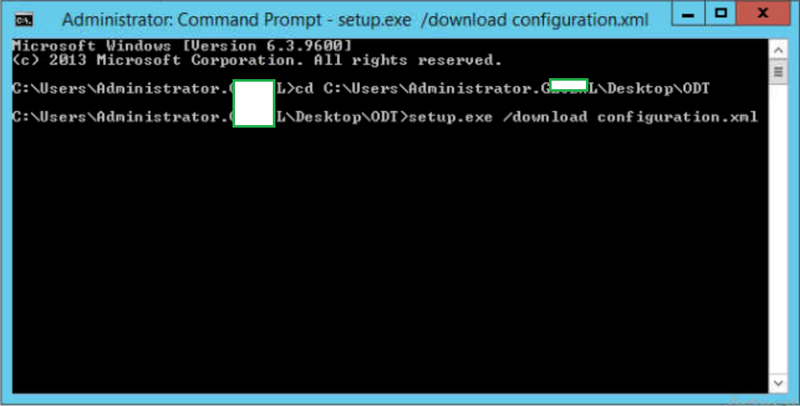 Run the command setup.exe /download configuration.xml and this will begin the download of the ProPlus binaries that are required. This option is also useful if you are installing ProPlus on mutliple machines and you do not want each device to have to pull down the installation files from Microsoft's CDN. When the download switch has completed you must run the command setup.exe /configure configuration.xml which will begin the installation of ProPlus based on the information in the configuration file. 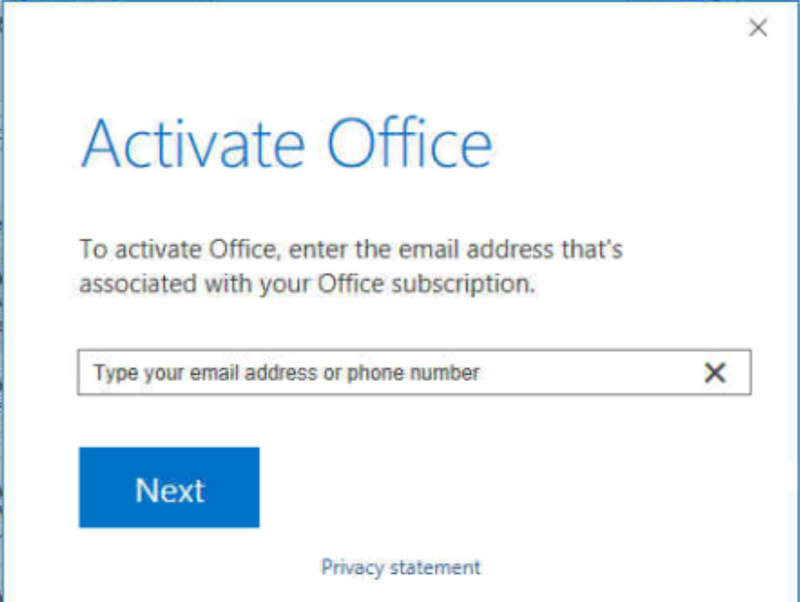 The first time each user logs in to the RDS server they will be asked to activate Office. The user's e-mail address which is linked to their Office 365 account is required to do this. They will only be asked to enter this once.